When I fix a golf swing I like to try to fix it as one complete motion usually because I don’t like getting people position orientated in their swings as this can sometimes take away the flow of their swings. 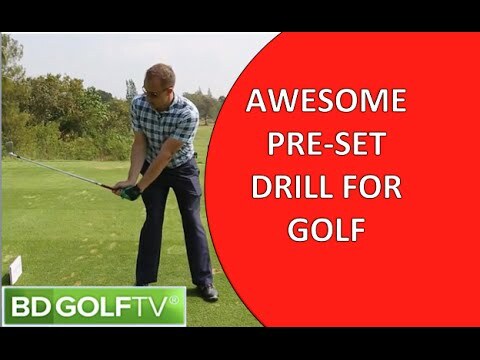 Sometimes however, this is unavoidable with certain golfers as they are so used to swinging their golf club back on the wrong swing plane that they need to break the backswing up into two parts to break the bad habit. When setting the club in a halfway back position it is best if you can use a mirror just to make sure that you are getting in the correct position. When you swing back the club head should follow the shaft plane up until the hands are at waist height, in this position the shaft and the shoulders will be parallel to each other. Use the mirrors to check your position, when you are happy that you have achieved the correct position focus your eyes back to the ball then complete the swing from this position. To swing to the top from this position just allow your arms to move upwards which in turn will pull the body around.